If you are suffering from the effects of a condition like alopecia, hair loss of any kind, or have visible scars on your scalp, then you are probably looking for an effective way to restore the appearance of a full head of hair. Scalp micropigmentation is a revolutionary permanent cosmetics technique that can help you cover scars, mask hair loss, add depth to your existing hairline, and more. 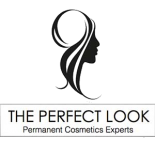 Read on to learn more about this innovative permanent cosmetics procedure, and call The Perfect Look at 512-766-0900 or send us an email through this page to schedule an appointment. As we mentioned in the previous section, scalp micropigmentation is a cutting-edge alternative to traditional hair loss treatments. Just like other permanent cosmetics, scalp micropigmentation is a form of cosmetic tattooing performed by a trained professional. You will begin with a consultation in which we get to know you and learn about your desired results. As we will explain in the next section, there are a variety of reasons why you may be interested in scalp micropigmentation. After we learn about your circumstances and goals, we will schedule your first appointment. While we hope to provide our clients with results as soon as possible, it may not be possible to complete your treatment in a single session. The first session will likely lay the foundation for a second appointment in which we add more detail and darker shades to your scalp. Many of our patients describe this procedure as mild, though everyone has a different pain threshold. One person’s mild pain could be moderate to severe for others, but generally speaking, micropigmentation procedures are reported to hurt less than traditional tattoos. Topical anesthetics and over-the-counter painkillers can be used to manage the discomfort during and after the procedure, so be sure to ask us about pain management during your initial consultation! Could I Benefit From Scalp Micropigmentation? Women’s hair loss: Women of all ages suffer from thinning hair, and this condition can often cause a severe loss of confidence. Applied to the scalp, cosmetic tattooing can create the appearance of a full, healthy scalp and mask the effects of thinning hair on the top or on the crown of the head. 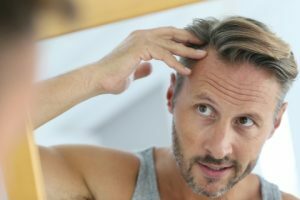 Male pattern baldness: More than half of the men in the United States will be affected by male pattern baldness in one form or another. Your hairline may be beginning to recede, or you may be experiencing severe hair loss across the top of your head. No matter which kind of hair loss you are experiencing, traditional hair loss treatments can deliver mixed results, are generally expensive, and can cause uncomfortable side effects. Scalp micropigmentation can help you restore the appearance of a full head of hair and create the appearance of a healthy hairline. Alopecia: Also known as spot baldness, alopecia is a condition in which the immune system attacks hair follicles and causes severe hair loss. Alopecia can take several forms, including hair loss in patches, complete and total hair loss on the scalp, and in rare cases, hair loss across the entire body. Many people who suffer from Alopecia look for effective ways to mask their hair loss, and scalp micropigmentation provides an ideal solution. Scar camouflage: If you have scars of any kind on your scalp, then you are probably looking for a way to effectively cover them. Scars often damage the scalp in a way that prevents hair regrowth, making them difficult to effectively mask. Whether you’ve had an accident, surgery, or hair transplant that led to scalp scarring, scalp micropigmentation can help you cover the affected area. These are just a few of the reasons why you may be interested in pursuing a permanent cosmetics procedure for your scalp. Of course, this list is not exhaustive, so please get in touch with us if you have a need or condition that is not listed here. We will provide you with detailed information about how to care for your treatment. Just as regular tattoos are prone to fading, you may experience a loss of pigmentation over a period of five to 10 years. Your individual aftercare instructions will vary according to your skin type and lifestyle, but as a general rule, you will want to avoid prolonged sun exposure without sunscreen. You may need to have some areas touched up in a few years as your scalp and hair volume changes, but with proper aftercare, your results should last for several years. Are you ready to get started with a consultation? Get in touch with The Perfect Look to schedule your appointment! We look forward to helping you live a more confident, outgoing life.